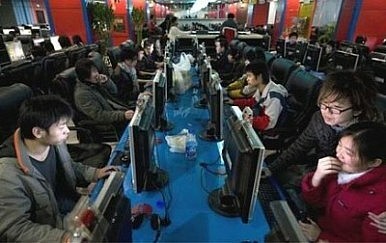 Could This Be China's Youth Movement? David Cohen on the rise of the “diaosi” culture on the Chinese internet — and the terms evolution and meaning. People are always looking for a youth movement in China. With an autocratic government, extreme levels of inequality, and a rising degree of gender mismatch that is making it harder to get married, contemporary China has many of the ingredients we associate with political uprisings like the Arab Spring. Since 1989, international media have flirted with dozens of incipient "next Tiananmens" – some, like the rise of social media, have had major effects on Chinese society, while others, like Ai Weiwei and the "Jasmine Revolution," have proved to be little more than wishful thinking. To a great extent, China analysts have become jaded about disaffected youth stories. But I want to argue that one of the latest of these, the rise of "diaosi" – or "loser" – culture on the Chinese internet, is interesting enough to deserve close attention from a political perspective. The popularity of this identity among people who do not seem like natural losers is a major challenge for Xi Jinping as he makes his current push for legitimacy on the strength of the "Chinese dream." The slang term, which is less than two years old, emerged as an insult, occupying a space that should be familiar to Western web users as the close equivalent of "living in your mother's basement" – a shorthand for "you're brave enough in a web forum but who are you in real life?" The Chinese term, which literally means "pubic hair," calls to mind a young graduate working a dead-end job, with little prospect of saving enough to buy a house and a car – basic trappings of middle-class life that are widely seen as essential prerequisites to finding a girlfriend and marriage. But the way the term has evolved in the past year is what makes it interesting. Like many insults, it was embraced by the people it was meant to dismiss – but diaosi has gone on to become an almost universal identity among Chinese web users. Just among my acquaintances, there are now (all self-described) female diaosi, diaosi working in finance, diaosi doing PhDs at China's top universities – and prestigious universities overseas. It has grown into a decidedly mainstream identity – and the diaosi novel has become a popular genre. In fact, diaosi-ness has become important enough to people to generate concern about posers – enough so that netizens are creating very specific requirements that one must meet to qualify as a diaosi. There are also websites like Renren that give users "diaosi scores" and fierce debates about whether owning an iPhone makes you a fake diaosi. The fact that owning an iPhone can be both an embarrassment as well as a prized possession should lead us to rethink our assumptions about the materialism of the Chinese middle class. The only constant about the use of the word "diaosi" is that it is the opposite of a pair of online slang terms that refer to privilege "gaofushuai" (tall, rich, and handsome) for men and "baifumei" (pale, rich, and beautiful) for women. Nobody calls themselves gaofushuai or baifumei. This opposition is the important thing about the rise of diaosi identity – implicit in it is the belief that the prosperity of the last 20 years has gone mostly to a small group of well-connected people. What is also important is the widespread sense that only diaosi have access to the "authentic Chinese experience." Dispossessed youth have been around in China for a long time, it’s been some time since young people have been defining themselves as among the dispossessed as a matter of choice. As we watch Xi Jinping trying to inspire the nation with talk of the Chinese Dream, we should also be watching the spread of diaosi identity. It is a view of Chinese society that says the Chinese Dream is for other people— at least as Xi and official China might define it. The Party's good luck has not run out yet, but the diaosi idea may make their audience that much tougher. Beijing has a vested interest in the status quo -- not in the Kim dynasty.